In the Medicine Bow National Forest. First come, first served campsites. Offers 12 pull-thrus. Tent-only campground loop constructed in 2006 has 14 sites. Elevation 8,200 feet. Open May 15 - Nov. 1. 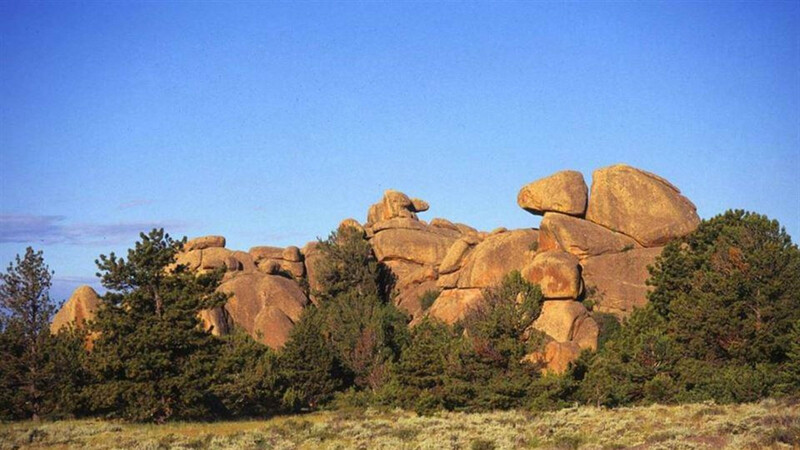 Known to the Arapaho Indians as “Land of the Earthborn Spirit,” the rock formations of Vedauwoo (pronounced vee-da-voo) attract experienced climbers, campers and hikers. This area is conveniently located off Interstate 80 between Cheyenne and Laramie (exit 329) and for westbound travelers is their first introduction to the Medicine Bow-Routt National Forest and its more than two million acres of public lands. Laramie, 15 miles west of Vedauwoo, was begun as a frontier town by the Union Pacific Railroad in 1869 and now is the location for the Medicine Bow-Routt National Forest Supervisor’s Office (2468 Jackson Street) where you can obtain maps and information to continue your explorations of the forest lands. To return to the forest itself, take Wyoming Highway 130 west across the glacier-carved Laramie Plains toward the tiny town of Centennial, where you will find unique shopping and other services, before ascending toward the snow-capped peaks of the Medicine Bow Mountains – known locally as the Snowy Range. This road is open seasonally to automobiles from Memorial Day until the first heavy snowfall of the season, sometime in October. During the winter it becomes a snowmobile and cross-country ski route.